What may be the different liver states? My Liver Exam looks like new! The goal of this website is to give as much information as possible to patients, for collective interest. We are dealing here about the liver: what is its function? Why is it so important to our body? What are the most common liver diseases? My Liver Exam has modernized its visuals and content with a mission to answer your questions, and raise awareness among you, patients. Your liver is vital for a healthy life: see a doctor, ask for more information and adopt good practices to keep your liver healthy. It implies, for example, an appropriate diet and a regular physical activity. This website can be dedicated to patients suffering from liver disorders, but also to their relatives/close relations, and to anyone who wants to collect information about liver and related diseases. If one of your relatives is affected by a liver disease: do not wait: support this person in this stage and lead her to health professionals capable of taking over the situation. Family support can be essential to overcome illness. What is the use of the liver? What are its main functions in our organism? Why is it so crucial? What diseases may affect the liver? Are there different steps in these diseases? There are several liver diseases, but some of them can be avoided. What are the good habits you should take? And why is it so important to encourage your family and friends to follow these healthy habits? You think you might be affected by a liver disease? Medical consultation and family awareness are crucial. One of your close relation is affected by a liver disease? How to help this person to overcome sickness? Get information on how to behave. Any doubt? Any question regarding a term or jargon we are using on My Liver Exam? Check out our glossary. With our categories, and our blog articles, you will become aware of the role the liver is playing in our body. Despite its important functions, it remains quite unknown by the public. 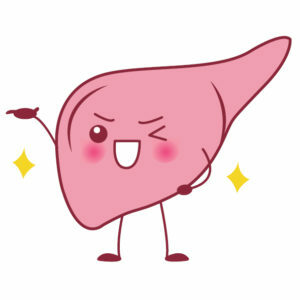 So now: do not hesitate to get informed about your liver! wonderful publish, very informative. I ponder why the opposite experts of this sector don’t realize this. in the daylight, for the reason that i like to find out more and more. non elementum quis, ut libero in massa sem, ipsum porta.